June 17, 2016 10:00 A.M.
Ontario has set the guideline on rent increases for 2017 at 1.5 per cent. 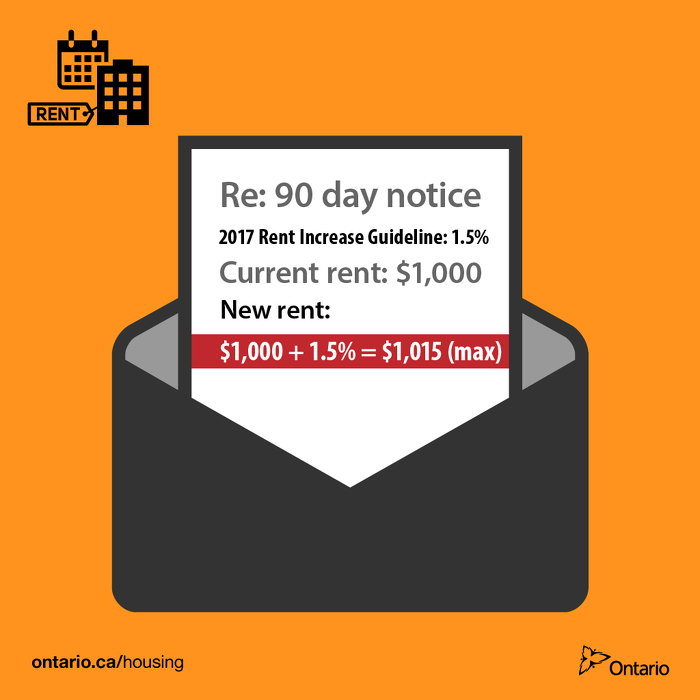 The rent increase guideline is the maximum most landlords can raise a tenant's rent without the approval of the Landlord and Tenant Board. It is applicable to rent increases between January 1 and December 31, 2017. Supporting the creation of affordable housing is part of the government's economic plan to build Ontario up and deliver on its number-one priority to grow the economy and create jobs. The four-part plan includes investing in talent and skills, including helping more people get and create the jobs of the future by expanding access to high-quality college and university education. The plan is making the largest investment in public infrastructure in Ontario's history and investing in a low-carbon economy driven by innovative, high-growth, export-oriented businesses. The plan is also helping working Ontarians achieve a more secure retirement. The rent increase guideline applies to most private and residential rental accommodations covered by the Residential Tenancies Act, 2006. The guideline is not applicable to: vacant residential units, residential units first occupied on or after November 1, 1991, social housing units, nursing homes or commercial property. For public inquiries regarding the guideline, please contact the Landlord and Tenant Board. This document was published on June 17, 2016 and is provided for archival and research purposes.